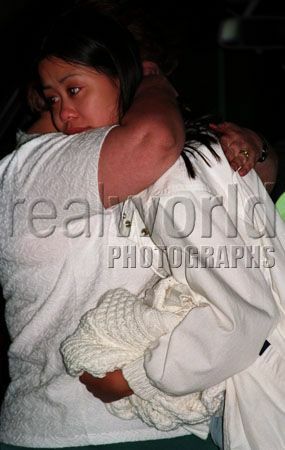 Mimi Tran, sister of 8 year old Mindy Tran gets a hug from a neighbor shortly after Mindy went missing. She was later found murdered and buried in a park near her home. No one has ever been convicted for the crime.